Ok my kids will be the first to tell you that once I get into the holiday season I start obsessing about things I can do, usually food related. Well, last night I was seated at dinner with my kids and these EyeBall Suckers I got at the Dollar Store were staring at me. 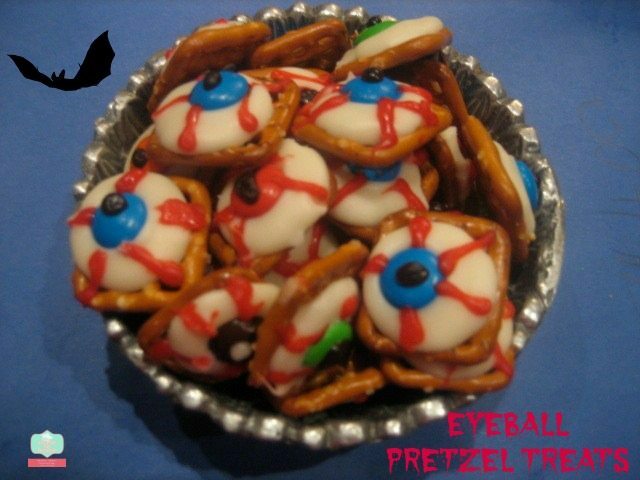 My crazy mind started turning as I was thinking how I could transform a Christmas treat I make into an eyeball. 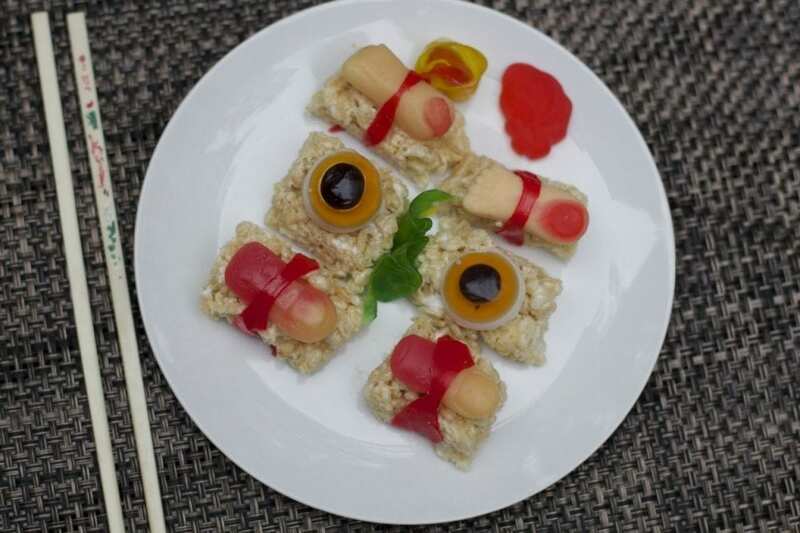 These start off like our Christmas Pretzel Treats but with a twist. Well, I got the kids involved and started putting out the square-shaped pretzels. Then they placed a white chocolate disc on top. I placed the tray into a 250-degree oven for a few minutes, only until the discs melt slightly. Then I added an eye color eyeball- ‘the M facing down’ into the chocolate. Using my Frosting Doodles I added the veins and pupil. 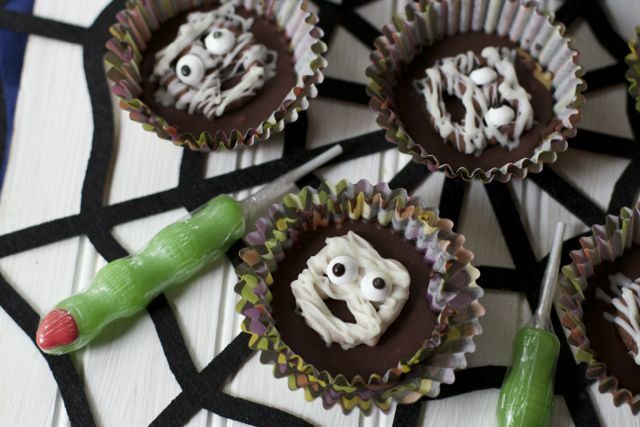 What a fun treat to put out in a bowl or a cellophane bag and watch your guests dig into! And they will! One of my first blog posts I blogged about chocolate covered pretzels. Well, come Halloween time my friends expect a little more than just chocolate. I make double dipped pretzels or “Magic Wands”. I simply dip the pretzels first in creamy peanut butter or melted caramel and this year I had some Nutella on Hand. Cover the pretzel as you would with chocolate about 3/4 of the way. Place in the fridge to cool slightly. Then dip them as normal into chocolate or white chocolate. I microwave the chocolate because the kids want to help but if you use a double boiler you will get a smoother consistency and overall product. Add sprinkles if desired and place back into the Fridge. Place them upright in a low vase or glass as a centerpiece or place two of these in a Pretzel cellophane bag for great teachers treat. I am wondering what is this year favorite!! 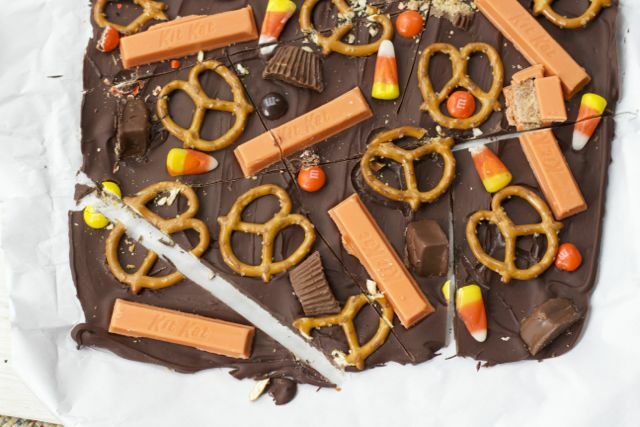 Other Chocolate and Pretzel Halloween Treats you are going to love. I so need to redo this post, these are so easy and take so little time. Where did you get the white chocolate discs?